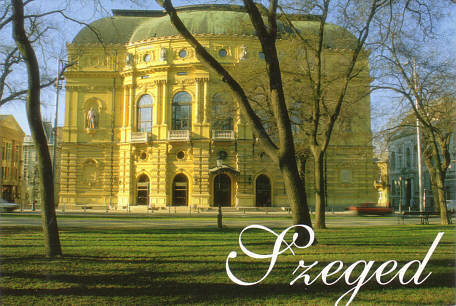 Built 1882-1883 as municipal theatre for the city of Szeged by Ferdinand Fellner & Hermann Helmer. 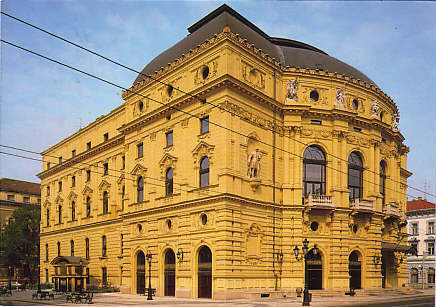 Opened 14 October 1883 with a gala concert and L. Dóczi's "Die letzte Liebe" (Act I). Completely destroyed by a fire on 22 April 1885. 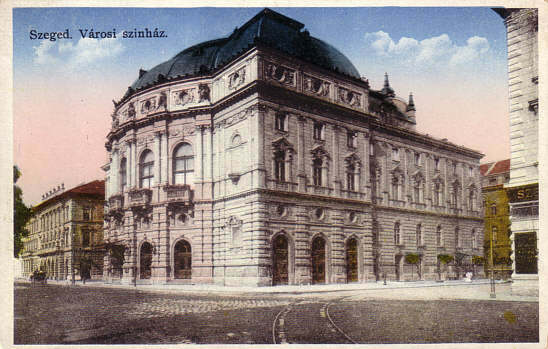 1885-1886 rebuilt to the original plans. Re-opened 2 October 1886. 1978-1986 major renovation and modernization by Maàr Márton (extension of the foyer, addition of new staircases). 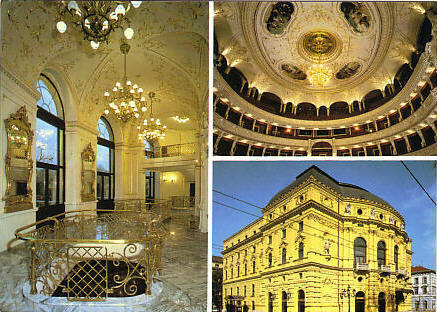 1100 seats. 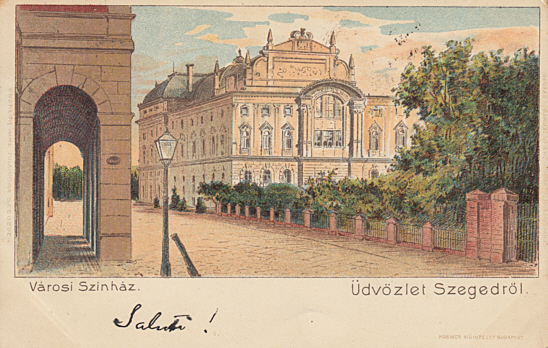 Front Text: "Városi Szinház", "Üdvözlet Szegedröl"
Front Text: "Szeged, Városi szinház"
Reverse Text: "Szeged, Nemzeti Színház - National Theatre in Szeged - Nationaltheater von Szeged"
Reverse Text: "Szegedi Nemzeti Színház - National Theatre in Szeged - Nationaltheater von Szeged"
Reverse Text: "Szegedi Nemzeti Színház - Nationaltheaer Szeged - Szeged National Theatre - Théâtre National de Szeged"